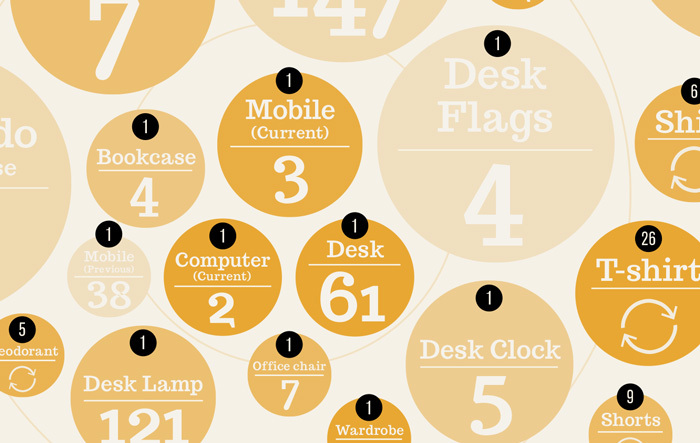 For a university project, we were asked to make an inventory of all of our “stuff” (material possessions), be it furniture, vehicles, equipment, clothes, personal items, etc. 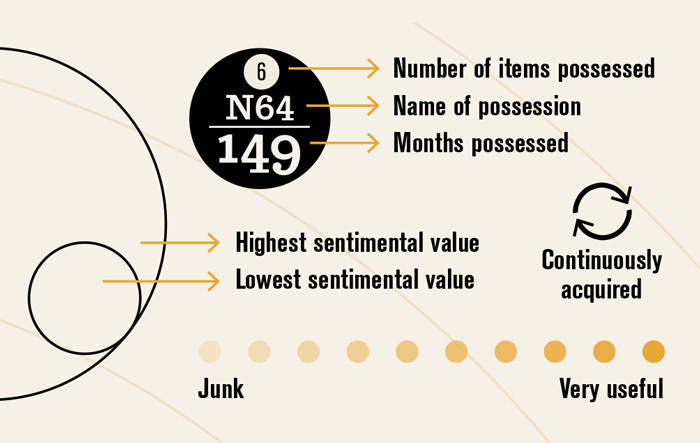 We were to then create a rating system to organise these possessions by a value (or values) of our choosing – for example, price at purchase or sentimental value. 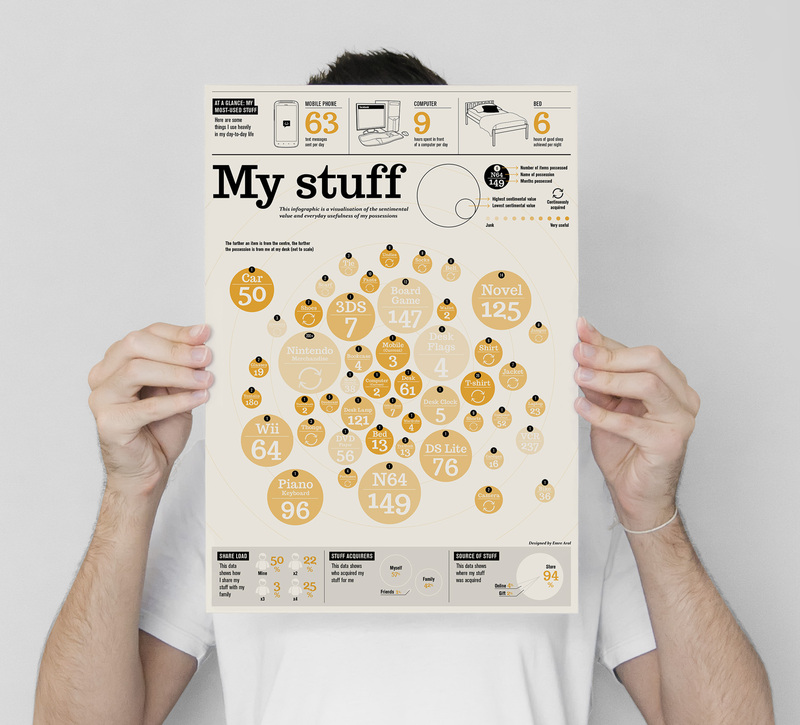 Using this information, we were to create a visualisation that would become a portrait of our material life. I supplemented the main graphic with interesting tidbits I discovered while compiling my inventory, such as how I use my stuff and where it came from.